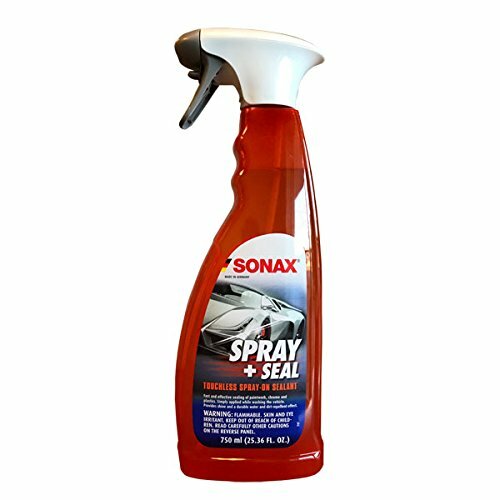 SONAX Spray + Seal is a touchless Spray-on Sealant that provides instant shine coating, and seals paintwork, chrome and plastic. Easy to use trigger spray bottle. This innovative sealant forms a hydrophobic layer during the wash cycle - simply by spraying on a wet vehicle and rinsing off during the final rinse cycle. Ideal for paintwork, plastics, seals, door jams and vehicle seams. If you have any questions about this product by Sonax, contact us by completing and submitting the form below. If you are looking for a specif part number, please include it with your message.